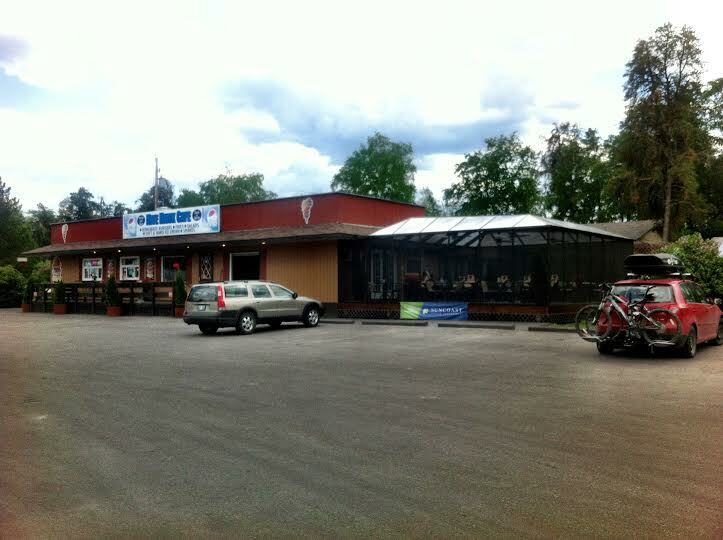 The Nite Hawk Cafe is a family run business that has been a popular place in West Hawk Lake since 1970. Ellie Zimmerman and her husband, Harvey, purchased the restaurant over 40 years ago. 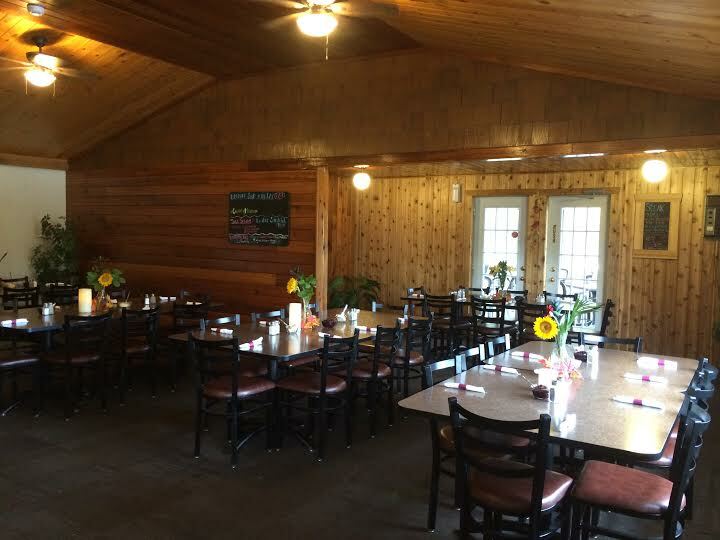 The Nite Hawk Cafe serves breakfast, lunch, and dinner and includes a licensed dining room, covered patio, and a take-out and ice cream window. Sharon Morrison started to work at the Nite Hawk at a young age and now carries on running the family business along with her husband, Bruce Morrison. This past year was a big year for the Nite Hawk Cafe as the business continued to evolve. The cottage-country restaurant got its official claim to fame when it was listed in MacLean’s Magazine as one of the 10 Great Canadian Pit Stops as voted by readers. 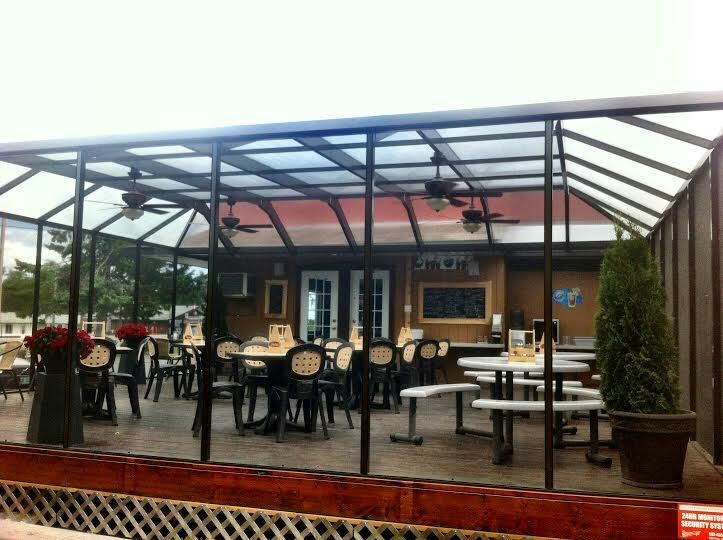 In the spring of 2013 the patio was renovated to include a custom covered screen room. This renovation has enhanced the patio’s aesthetics and provides a relaxing, bug-free outdoor dining space that can be enjoyed in rain or shine. The newly renovated patio at the Nite Hawk Cafe. This year is also the first year that the Nite Hawk is open all winter-long to serve the locals, winter cottagers, cross-country skiers, snowmobilers, and winter day trippers each week from Thursday to Sunday. Hours for winter 2014 are Thursday & Friday 10am-7pm, Saturday 9am-7pm and Sunday 9am-4pm. 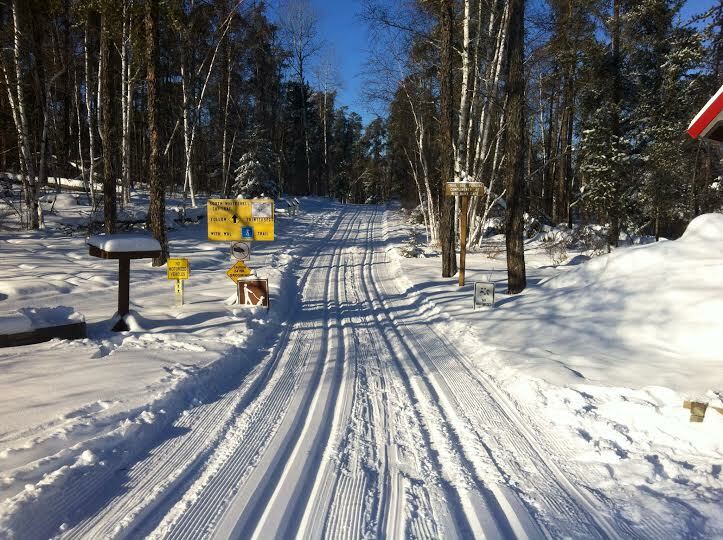 The Nite Hawk is also connected to the South Whiteshell Trail, and makes for a great cross-country ski start/end point. Parking for trail-users is provided courtesy of the Nite Hawk Cafe, and the restaurant is the perfect place for après-ski food and drink. The Nite Hawk is a great starting point for cross-country skiing. Parking is provided to trail users courtesy of the Nite Hawk Cafe. While the restaurant has evolved throughout the years, the Nite Hawk still serves the same delicious homemade gourmet burgers and fries. The menu now ranges from burgers and fries to healthy wraps, gourmet burgers, sandwiches, salads, appetizers, and much more. The restaurant and patio are now licensed and there are many signature drinks including ‘Sharon’s Signature Caesar’ and the ‘Mucho Mojito’. 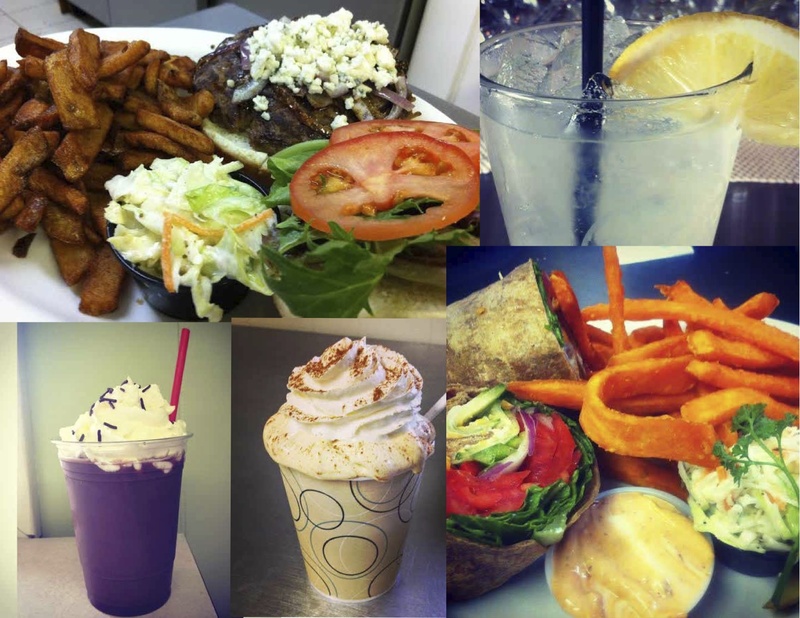 Just a few examples of the delicious food and beverages that the Nite Hawk Cafe serves. Every Thursday in the spring, summer, and fall the Nite Hawk has ‘Steak Nite’ that features delicious Certified 10oz Angus New York steak barbecued on the patio. 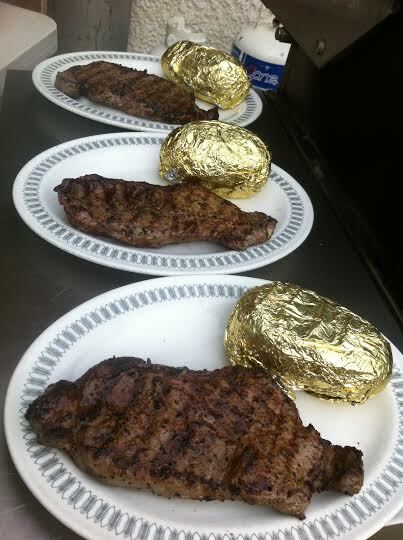 The steak dinner includes a baked potato with all the fixings, a deluxe salad bar with three to four different salad options. Sautéed mushrooms, shrimp and scallop skewers and blue cheese are available! 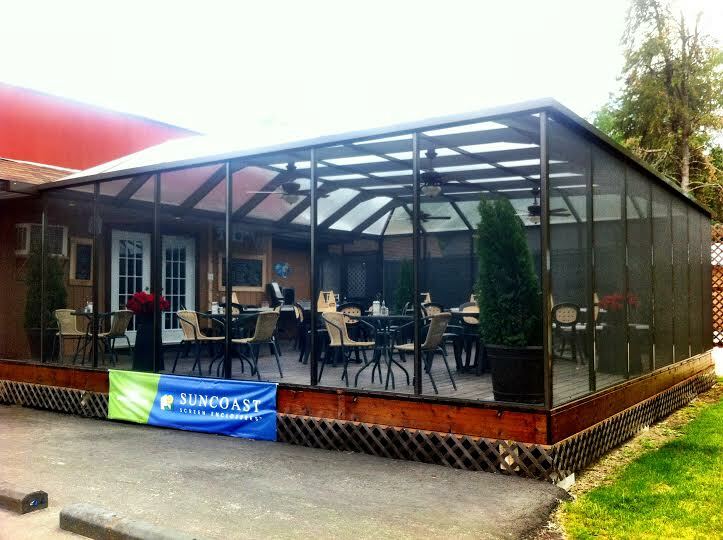 Be sure to drop by when local musician Doug Edmonds performs on the patio in the summer. Want to find out more about the Nite Hawk Cafe? Like them on Facebook or follow them on Instagram. Stay tuned for a new website launching soon! 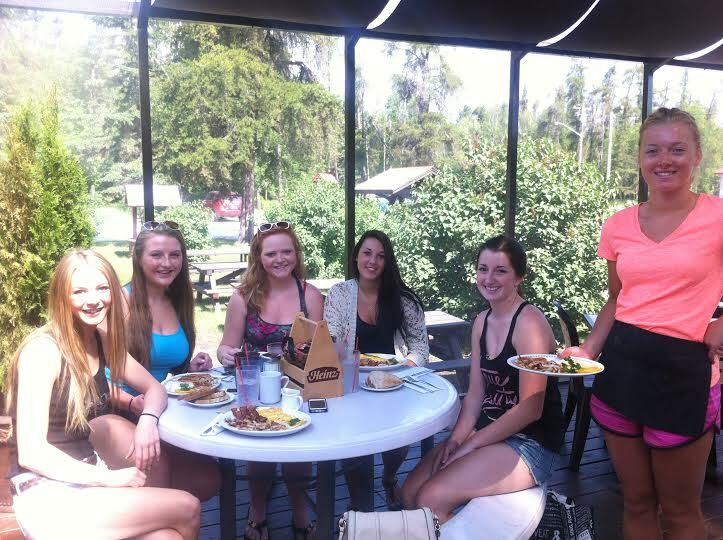 Come meet the Nite Hawk’s amazing team of servers and kitchen staff next time you’re in the Whiteshell! For more information, group booking inquiries, or for details dates and hours of operation call the Nite Hawk Cafe at (204)-349-2580. This entry was tagged Business, Cross-country skiing, MacLean's Magazine, manitoba, Nite Hawk Cafe, Restaurant, Weat Hawk Lake, Whiteshel Provincial Park. Bookmark the permalink.